The elegant Loft collection from Daytona by Signorini and Coco embraces a classic design style. 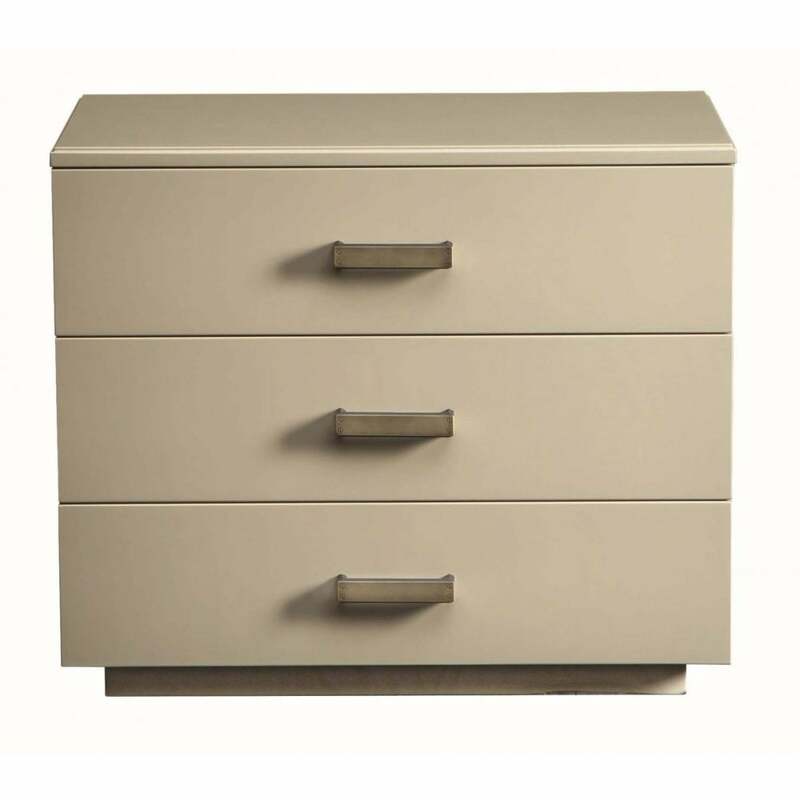 Bring the essence of classicism in your interior with the three-drawer nightstand from the loft collection. Meticulously handcrafted by skilled Italian artisans, the piece features three fully lined drawers with a practical depth. Beautifully burnished brass handles contrast against the wood finish of the structure. A complementary base also in burnished brass highlights the exquisite metallic detailing. The Loft collection is available in a selection of finishes for both wood surround and top. Contact us for more details.